Real adventurers will consider our another solution from Europe to Central America based on Air Europa (and their local partner Copa). Double open-jaw flights on route Germany (Dusseldorf, Frankfurt, Munich) to Panama return from Costa Rica to Brussels are available from €315. This is including all taxes and onboard meals but excluding checked luggage. If you want to travel South America for the lowest budget available and see another cities on your way do not miss this special discount as there is very limited availability. This promotion with Air Europa is based on similar deal to Panama we posted earlier. Of course you can book only single open-jaw ticket to Panama or Costa Rica but this one seems to be the most interesting option to me..
Air Europa promotion offers the cheapest double open jaw tickets when departing from Europe to Central America from 1st to 31st of March and 26th of April to 31st of May 2019. Blackout dates around Easter Holidays. Max stay 90 days. Book this Air Europa discount by 14th of November or until sold out..Below you can refer to our booking as well as few travel date samples of double open jaw flights from Europe to Central America.. Consider classic return flights from Germany to Panama from €374 or Amsterdam to Colombia from €383. If you would need affordable hotel in Panama or Costar Rica you can book your accommodation via Booking.com or Hotels.com. 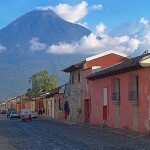 Booking sample of cheap open-jaw flights Germany to Panama & Costa Rica to Brussels from €315! As per our booking sample your outbound flight from Dusseldorf to Panama City would be on 3rd of March. You would then travel all the way up to San Jose and return from Costa Rica to Brussels on 24th of March 2019.